When hard drive data seems lost forever, the experts at HDD Recovery Services are here to perform the impossible. Hundreds of thousands of gigabytes of data has been entrusted to us by everyday users and IT professionals after hard drive crashes, physical damage or damage due to a natural disaster. When we receive the drive immediately after the damage, most, if not all, of the lost data can still be recovered. We never ask you to commit to out service blindly. Our process begins with a verified diagnostic report that explains how recoverable your data is. You only purchase our recovery service after viewing the report and deciding if the recovery is right for your needs. We continue to stay in close contact withÂ you during the full recovery process. On top of all of that, you will be able to review the results of the recovery prior to release of data to make sure everything is up to your expectations. 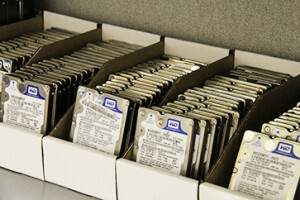 HDD Recovery Services is a leader in hard drive recovery solutions. We are able to work on any type of hard drive, including 3.5″, 2.5″, 1.8″ drives with SATA, IDE, or even with a proprietary USB3.0 interface, like WD PASSPORT. 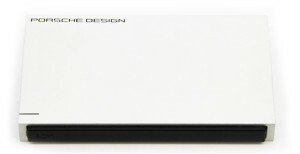 We don’t care what the make, model, brand or interface is. We’ll use our advanced hard drive recovery tools to pull off every byte of recoverable data possible. Data loss is classified into two main categories – logical and mechanical. Logical failures mean the hard drive itself is still working, but a logical error has occurred such as accidental reformatting or a lost partition. Mechanical failures cause the hard drive to stop functioning. Head crashes, motor failures and damaged platters are all common causes. Hard drives fail due to a variety of factors. The most common reasons we encounter include power surges, human error, physical damage, overwriting, viruses and natural disasters. Any drive damage can result in data loss. HDD Recovery Services doesn’t just replace a few parts and hand the drive back to you. Our engineers work their magic with state of the art hard drive recovery tools while following our proprietary processes. The result is thousands of satisfied customers who’ve had their valuable data recovered. We invest in continuous research and development to create the most successful hard drive recovery processes. With over 10 years of experience, we’ve mastered techniques and uncovered the best tools such as working in a cleanroom environment, using advanced drive imaging equipment, working with proprietary tools and thousands of donor hard drives to use for parts in our inventory. All of these lead to the most complete data recovery possible. Don’t trust your data to inexperienced providers or even try to recover it yourself. This could lead to further, irreparable damage. CLICK HERE to begin your recovery by requesting a FREE quote ! Great service! Got all of my files back! My hard drive was almost 2tb full of files, and got knocked on to the floor by my cat. No computer recognized my hard drive when I plugged it in afterwards, so I thought all of my files were gone forever. I had a lot of very sentimental videos/images on there, so the thought of not getting them back was devastating. I brought my hard drive in to HDD recovery Services, and they managed to recover all of my files! I was so thrilled! They walked me through every step that they took, and recommended many ways to avoid it from happening again. So glad I went with HDD Recovery Services! © Copyright 2018 HDD Recovery Services. All Rights Reserved.